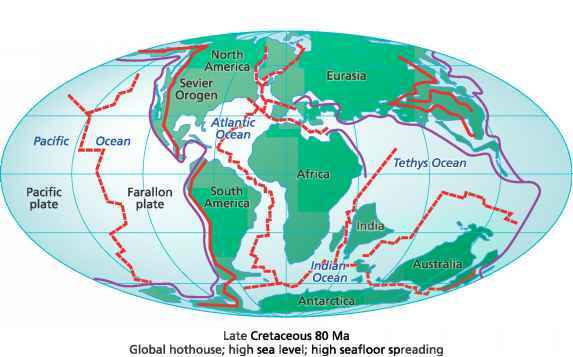 Deltas, some of the largest sedimentary deposits in the world, are widely recognised as highly vulnerable to the impacts of climate change, particularly sea-level rise and changes in runoff, as well as being subject to stresses imposed by human modification of catchment and delta plain land use. Most deltas are already undergoing natural subsidence that results in accelerated rates of relative sea-level rise above the global average. Many are impacted by the effects of water extraction and diversion, as well as declining sediment input as a consequence of entrapment in dams. Delta plains, particularly those in Asia (Chapter 10, Section 10.6.1), are densely populated and large numbers of people are often impacted as a result of external terrestrial influences (river floods, sediment starvation) and/or external marine influences (storm surges, erosion) (see Figure 6.1). Ericson et al. 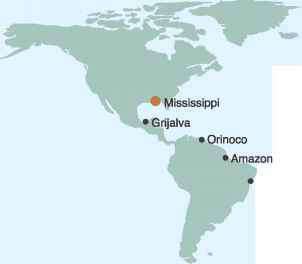 (2006) estimated that nearly 300 million people inhabit a sample of 40 deltas globally, including all the large megadeltas. Average population density is 500 people/km2 with the largest population in the Ganges-Brahmaputra delta, and the highest density in the Nile delta. Many of these deltas and megadeltas are associated with significant and expanding urban areas. Ericson et al. (2006) used a generalised modelling approach to approximate the effective rate of sea-level rise under present conditions, basing estimates of sediment trapping and flow diversion on a global dam database, and modifying estimates of natural subsidence to incorporate accelerated human-induced subsidence. This analysis showed that much of the population of these 40 deltas is at risk through coastal erosion and land loss, primarily as a result of decreased sediment delivery by the rivers, but also through accentuated rates of sea-level rise. They estimate, using a coarse digital terrain model and global population distribution data, that more than 1 million people will be directly affected by 2050 in three megadeltas: the GangesBrahmaputra delta in Bangladesh, the Mekong delta in Vietnam and the Nile delta in Egypt. More than 50,000 people are likely to be directly impacted in each of a further 9 deltas, and more than 5,000 in each of a further 12 deltas (Figure 6.6). This generalised modelling approach indicates that 75% of the population affected live on Asian megadeltas and deltas, and a large proportion of the remainder are on deltas in Africa. These impacts would be exacerbated by accelerated sea-level rise and enhanced human pressures (e.g., Chapter 10, Section 10.6.1). Within the Asian megadeltas, the surface topography is complex as a result of the geomorphological development of the deltas, and the population distribution shows considerable spatial variability, reflecting the intensive land use and the growth of some of the world's largest megacities (Woodroffe et al., 2006). Many people in these and other deltas worldwide are already subject to flooding from both storm surges and seasonal river floods, and therefore it is necessary to develop further methods to assess individual delta vulnerability (e.g., Sánchez-Arcilla et al., 2006). Figure 6.6. Relative vulnerability of coastal deltas as shown by the indicative population potentially displaced by current sea-level trends to 2050 (Extreme = >1 million; High = 1 million to 50,000; Medium = 50,000 to 5,000; following Ericson et al., 2006). view and examines the Asian megadeltas in more detail. Chapter 5, Box 5.3 considers the threats to fisheries in the lower Mekong and associated delta due to climate change. Hurricane Katrina made landfall on the Mississippi delta in Louisiana, and Box 6.4 and Chapter 7, Box 7.4 consider different aspects of this important event, which gives an indication of the likely impacts if tropical storm intensity continues to increase. Lastly, Section 15.6.2 considers the specific problems of Arctic megadeltas. Global mean sea-level rise will generally lead to higher relative coastal water levels and increasing salinity in estuarine systems, thereby tending to displace existing coastal plant and animal communities inland. Estuarine plant and animal communities may persist as sea level rises if migration is not blocked and if the rate of change does not exceed the capacity of natural communities to adapt or migrate. Climate change impacts on one or more 'leverage species', however, can result in sweeping community level changes (Harley et al., 2006). Some of the greatest potential impacts of climate change on estuaries may result from changes in physical mixing characteristics caused by changes in freshwater runoff (Scavia et al., 2002). A globally intensified hydrologic cycle and regional changes in runoff all portend changes in coastal water quality (Section 6.3.2). Freshwater inflows into estuaries influence water residence time, nutrient delivery, vertical stratification, salinity and control of phytoplankton growth rates. Increased freshwater inflows decrease water residence time and increase vertical stratification, and vice versa (Moore et al., 1997). The effects of altered residence times can have significant effects on phytoplankton populations, which have the potential to increase fourfold per day. Consequently, in estuaries with very short water residence times, phytoplankton are generally flushed from the system as fast as they can grow, reducing the estuary's susceptibility to eutrophication3 and harmful algal blooms (HABs) (Section 6.4.2.4). Changes in the timing of freshwater delivery to estuaries could lead to a decoupling of the juvenile phases of many estuarine and marine fishery species from the available nursery habitat. In some hypersaline lagoonal systems, such as the Laguna Madre of Mexico and Texas, sea-level rise will increase water depths, leading to increased tidal exchange and hence reduced salinity (cf. Quammen and Onuf, 1993). Increased water temperature could also affect algal production and the availability of light, oxygen and carbon for other estuarine species (Short and Neckles, 1999). The propensity for HABs is further enhanced by the fertilisation effect of increasing dissolved CO2 levels. Increased water temperature also affects important microbial processes such as nitrogen fixation and denitrification in estuaries (Lomas et al., 2002). Water temperature regulates oxygen and carbonate solubility, viral pestilence, pH and conductivity, and photosynthesis and respiration rates of estuarine macrophytes4. While temperature is important in regulating physiological processes in estuaries (Lomas et al., 2002), predicting the ecological outcome is complicated by the feedbacks and interactions among temperature change and independent physical and biogeochemical processes such as eutrophication (cf. Section 6.2.4). Decreased seawater pH and carbonate saturation (Mackenzie et al., 2001; Caldeira and Wickett, 2005) has at least two important consequences: the potential for reducing the ability of carbonate flora and fauna to calcify; and the potential for enhanced dissolution of nutrients and carbonate minerals in sediments (Andersson et al., 2003; Royal Society, 2005; Turley et al., 2006). As these potential impacts could be significant, it is important to improve understanding of them. The landward transgression of natural estuarine shorelines as sea level rises has been summarised by Pethick (2001), who adopted a mass balance approach based on an equilibrium assumption resulting in landward retreat of the entire estuarine system. In this view, sea level rise of 6 mm causes 10 m of retreat of the Blackwater estuary, UK, and only 8 m of retreat for the Humber estuary, UK, due to the steeper gradient of the latter. The Humber estuary will also likely experience a deepening of the main channel, changes in tidal regime and larger waves that will promote further erosion around the margins (Winn et al., 2003). In Venice Lagoon, Italy, the combination of sea-level rise, altered sediment dynamics, and geological land subsidence has lowered the lagoon floor, widened tidal inlets, submerged tidal flats and islands, and caused the shoreline to retreat around the lagoon circumference (Fletcher and Spencer, 2005). In situations where the area of intertidal environments has been reduced by embanking or reclamation, the initial response will be a lowering of remaining tidal flats and infilling of tidal channels. Depending on tidal characteristics, the availability of marine sediment, and the rate of sea-level rise, the remaining tidal flats may either be further drowned, or their relative level in the tidal frame may be maintained, as shown by several tidal basins in the Dutch Wadden Sea (Dronkers, 2005). A projected increase in the intensity of tropical cyclones and other coastal storms (Section 6.3.2) could alter bottom sediment dynamics, organic matter inputs, phytoplankton and fisheries populations, salinity and oxygen levels, and biogeochemical processes in estuaries (Paerl et al., 2001). The role of powerful storms in structuring estuarine sediments and biodiversity is illustrated in the stratigraphic record of massive, episodic estuary infilling of Bohai Bay, China during the Holocene, with alternating oyster reefs and thick mud deposits (Wang and Fan, 2005). 3 Eutrophication: over-enrichment of a water body with nutrients, resulting in excessive growth of organisms and depletion of oxygen concentration. 4 Macrophytes: aquatic plants large enough to be visible to the naked eye. their low tidal range (Nicholls, 2004). However, wetland processes are complex, and Cahoon et al. (2006) developed a broad regional to global geographical model relating wetland accretion, elevation, and shallow subsidence in different plate tectonic, climatic and geomorphic settings for both temperate saltmarshes and tropical mangrove forests. Changes in storm intensity can also affect vegetated coastal wetlands. Cahoon et al. (2003) analysed the elevation responses from a variety of hurricane-influenced coastal settings and found that a storm can simultaneously influence both surface and subsurface soil processes, but with much variability. Saltmarshes (halophytic grasses, sedges, rushes and succulents) are common features of temperate depositional coastlines. Hydrology and energy regimes are two key factors that influence the coastal zonation of the plant species which typically grade inland from salt, to brackish, to freshwater species. Climate change will likely have its most pronounced effects on brackish and freshwater marshes in the coastal zone through alteration of hydrological regimes (Burkett and Kusler, 2000; Baldwin et al., 2001; Sun et al., 2002), specifically, the nature and variability of hydroperiod and the number and severity of extreme events. Other variables - altered biogeochemistry, altered amounts and pattern of suspended sediments loading, fire, oxidation of organic sediments, and the physical effects of wave energy - may also play important roles in determining regional and local impacts. Sea-level rise does not necessarily lead to loss of saltmarsh areas, especially where there are significant tides, because these marshes accrete vertically and maintain their elevation relative to sea level where the supply of sediment is sufficient (Hughes, 2004; Cahoon et al., 2006). The threshold at which wetlands drown varies widely depending upon local morphodynamic processes. Saltmarshes of some mesotidal and high tide range estuaries (e.g., Tagus estuary, Portugal) are susceptible to sea-level rise only in a worst-case scenario. Similarly, wetlands with high sediment inputs in the south-east United States would remain stable relative to sea level unless the rate of sea-level rise accelerates to nearly four times its current rate (Morris et al., 2002). Yet, even sediment inputs from frequently recurring hurricanes cannot compensate for subsidence effects combined with predicted accelerations in sea-level rise in rapidly subsiding marshes of the Mississippi River delta (Rybczyk and Cahoon, 2002). Mangrove forests dominate intertidal subtropical and tropical coastlines between 25°N and 25°S latitude. Mangrove communities are likely to show a blend of positive responses to climate change, such as enhanced growth resulting from higher levels of CO2 and temperature, as well as negative impacts, such as increased saline intrusion and erosion, largely depending on site-specific factors (Saenger, 2002). The response of coastal forested wetlands to climate change has not received the detailed research and modelling that has been directed towards the saltmarsh coasts of North America (Morris et al., 2002; Reed, 2002; Rybczyk and Cahoon, 2002) and north-west Europe (Allen, 2000, 2003). Nevertheless, it seems highly likely that similar principles are in operation and that the sedimentary response of the shoreline is a function of both the availability of sediment (Walsh and Nittrouer, 2004) and the ability of the organic production by mangroves themselves to fill accommodation space provided by sea-level rise (Simas et al., 2001). Mangroves are able to produce root material that builds up the substrate beneath them (Middleton and McKee, 2001; Jennerjahn and Ittekkot, 2002), but collapse of peat occurs rapidly in the absence of new root growth, as observed after Hurricane Mitch (Cahoon et al., 2003) and after lightning strikes (Sherman et al., 2000). Groundwater levels play an important role in the elevation of mangrove soils by processes affecting soil shrink and swell. Hence, the influence of hydrology should be considered when evaluating the effect of disturbances, sea-level rise and water management decisions on mangrove systems (Whelan et al., 2005). A global assessment of mangrove accretion rates by Saenger (2002) indicates that vertical accretion is variable but commonly approaches 5 mm/yr. However, many mangrove shorelines are subsiding and thus experiencing a more rapid relative sea-level rise (Cahoon et al., 2003). A landward migration of mangroves into adjacent wetland communities has been recorded in the Florida Everglades during the past 50 years (Ross et al., 2000), apparently responding to sea-level rise over that period. Mangroves have extended landward into saltmarsh over the past five decades throughout south-east Australia, but the influence of sea-level rise in this region is considered minor compared to that of human disturbance (Saintilan and Williams, 1999) and land surface subsidence (Rogers et al., 2005,2006). Rapid expansion of tidal creeks has been observed in northern Australia (Finlayson and Eliot, 2001; Hughes, 2003). Sea-level rise and salt water intrusion have been identified as a causal factor in the decline of coastal bald cypress (Taxodium disticum) forests in Louisiana (Krauss et al., 2000; Melillo et al., 2000) and die off of cabbage palm (Sabal palmetto) forests in coastal Florida (Williams et al., 1999, 2003). On balance, coastal wetlands will decline with rising sea levels and other climate and human pressures (reduced sediment inputs, coastal squeeze constraints on landward migration, etc.) will tend to exacerbate these losses. However, the processes shaping these environments are complex and while our understanding has improved significantly over the last 10 years, it remains far from complete. Continued work on the basic science and its application to future prognosis at local, regional and global scales remains a priority (Cahoon et al., 2006; McFadden et al., 2007a). Sea grasses appear to be declining around many coasts due to human impacts, and this is expected to accelerate if climate change alters environmental conditions in coastal waters (Duarte, 2002). Changes in salinity and temperature and increased sea level, atmospheric CO2, storm activity and ultraviolet irradiance alter sea grass distribution, productivity and community composition (Short and Neckles, 1999). Increases in the amount of dissolved CO2 and, for some species, HCO3 present in aquatic environments, will lead to higher rates of photosynthesis in submerged aquatic vegetation, similar to the effects of CO2 enrichment on most terrestrial plants, if nutrient availability or other limiting factors do not offset the potential for enhanced productivity. Increases in growth and biomass with elevated CO2 have been observed for the sea grass Z. marina (Zimmerman et al., 1997). Algae growth in lagoons and estuaries may also respond positively to elevated dissolved inorganic carbon (DIC), though marine macroalgae do not appear to be limited by DIC levels (Beer and Koch, 1996). An increase in epiphytic or suspended algae would decrease light available to submerged aquatic vegetation in estuarine and lagoonal systems. Reef-building corals are under stress on many coastlines (see Chapter 1, Section 1.3.4.1). Reefs have deteriorated as a result of a combination of anthropogenic impacts such as overfishing and pollution from adjacent land masses (Pandolfi et al., 2003; Graham et al., 2006), together with an increased frequency and severity of bleaching associated with climate change (Box 6.1). The relative significance of these stresses varies from site to site. Coral mortality on Caribbean reefs is generally related to recent disease outbreaks, variations in herbivory5, and hurricanes (Gardner et al., 2003; McWilliams et al., 2005), whereas Pacific reefs have been particularly impacted by episodes of coral bleaching caused by thermal stress anomalies especially during recent El Niño events (Hughes et al., 2003), as well as non-climate stresses. Mass coral bleaching events are clearly correlated with rises of SST of short duration above summer maxima (Douglas, 2003; Lesser, 2004; McWilliams et al., 2005). Particularly extensive bleaching was recorded across the Indian Ocean region associated with extreme El Niño conditions in 1998 (Box 6.1 and Chapter 11, Section 11.6: Climate change and the Great Barrier Reef case study). Many reefs appear to have experienced similar SST conditions earlier in the 20th century and it is unclear how extensive bleaching was before widespread reporting post-1980 (Barton and Casey, 2005). There is limited ecological and genetic evidence for adaptation of corals to warmer conditions (Boxes 4.4 and 6.1). It is very likely that projected future increases in SST of about 1 to 3°C (Section 6.3.2) will result in more frequent bleaching events and widespread mortality, if there is not thermal adaptation or acclimatisation by corals and their symbionts (Sheppard, 2003; Hoegh-Guldberg, 2004). The ability of coral reef ecosystems to withstand the impacts of climate change will depend on the extent of degradation from other anthropogenic pressures and the frequency of future bleaching events (Donner et al., 2005). Pacific reef flats and recolonisation by corals, as these intertidal surfaces, presently emerged at low tide, become suitable for coral growth (Buddemeier et al., 2004). Many reefs are affected by tropical cyclones (hurricanes, typhoons); impacts range from minor breakage of fragile corals to destruction of the majority of corals on a reef and deposition of debris as coarse storm ridges. Such storms represent major perturbations, affecting species composition and abundance, from which reef ecosystems require time to recover. The sequence of ridges deposited on the reef top can provide a record of past storm history (Hayne and Chappell, 2001); for the northern Great Barrier Reef no change in frequency of extremely large cyclones has been detected over the past 5000 years (Nott and Hayne, 2001). An intensification of tropical storms (Section 6.3.2) could have devastating consequences on the reefs themselves, as well as for the inhabitants of many low-lying islands (Sections 6.4.2 and 16.3.1.3). There is limited evidence that global warming may result in an increase of coral range; for example, extension of branching Acropora poleward has been recorded in Florida, despite an almost Caribbean-wide trend for reef deterioration (Precht and Aronson, 2004), but there are several constraints, including low genetic diversity and the limited suitable substrate at the latitudinal limits to reef growth (Riegl, 2003; Ayre and Hughes, 2004; Woodroffe et al., 2005). The fate of the small reef islands on the rim of atolls is of special concern. Small reef islands in the Indo-Pacific formed over recent millennia during a period when regional sea level fell (Woodroffe and Morrison, 2001; Dickinson, 2004). However, the response of these islands to future sea-level rise remains uncertain, and is addressed in greater detail in Chapter 16, Section 16.4.2. It will be important to identify critical thresholds of change beyond which there may be collapse of ecological and social systems on atolls. There are limited data, little local expertise to assess the dangers, and a low level of economic activity to cover the costs of adaptation for atolls in countries such as the Maldives, Kiribati and Tuvalu (Barnett and Adger, 2003; Chapter 16, Box 16.6). Since the TAR, global and regional studies on the impacts of climate change are increasingly available, but few distinguish the socio-economic implications for the coastal zone (see also Section 6.5). Within these limits, Table 6.4 provides a qualitative overview of climate-related changes on the various socioeconomic sectors of the coastal zone discussed in this section. Table 6.4. Summary of climate-related impacts on socio-economic sectors in coastal zones.